When I was planning my trip to Hong Kong, I thought about how I wanted to get there. I mean, clearly I’m flying, but who do I want to fly with. 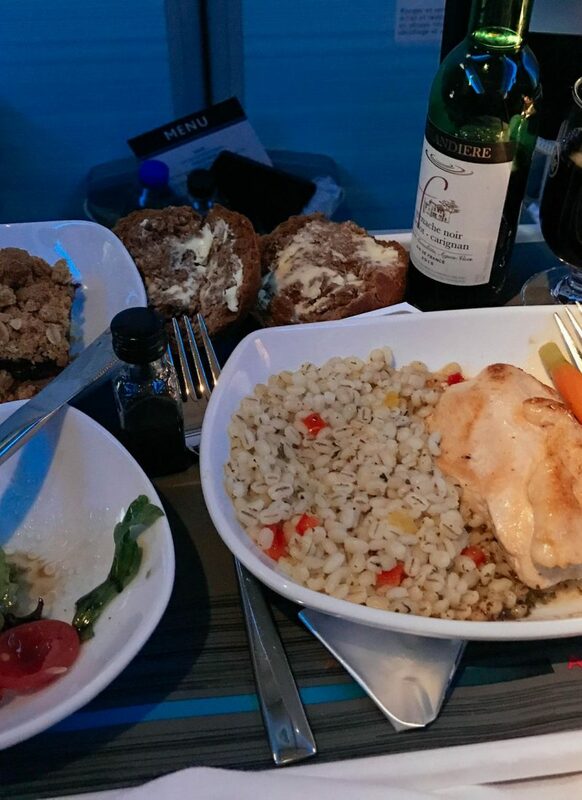 I’m all about a comfortable flight and I didn’t want to skimp on such a long trip. I’m all about a little luxury where I can find it. Especially when you’re 10,000 feet in the air. 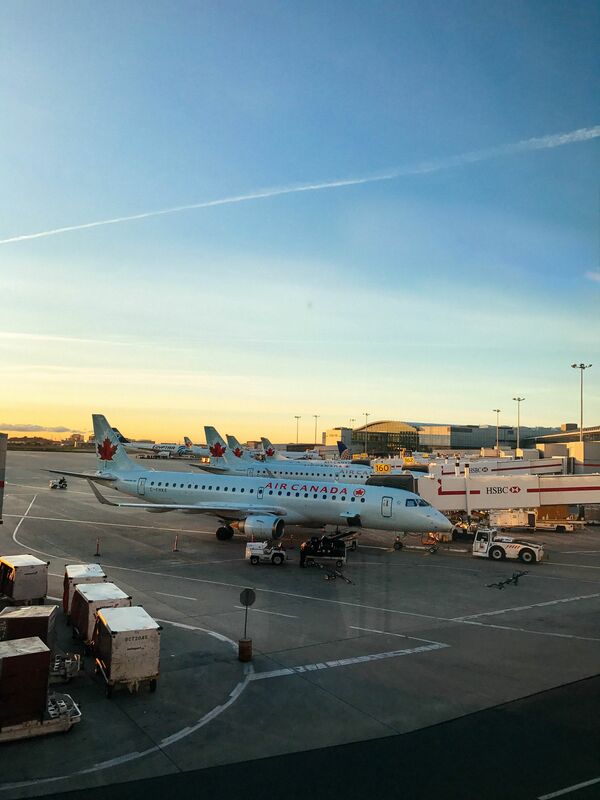 My travels started super early on a Saturday morning, and luckily, Air Canada has their own gate area at Boston Logan Airport so check-in and security was a breeze. My flight to Hong Kong had a brief layover in Toronto. After I arrived in Toronto, I bee-lined it for a Starbucks. (It’s 7:15 in the morning and I have yet to have my morning coffee. Gasp!) Thankfully, the Toronto Pearson Airport (YYZ) is super easy to navigate and I think I had an Americano in hand in under 15 minutes. I like you, YYZ. Boarding my flight to Hong Kong was so exciting! I had never been to Asia, and it was exhilarating to think that in 15 short hours that would change. EEK! One of the best things about boarding, when you’re flying Premium Economy with Air Canada, is that you get to board early. 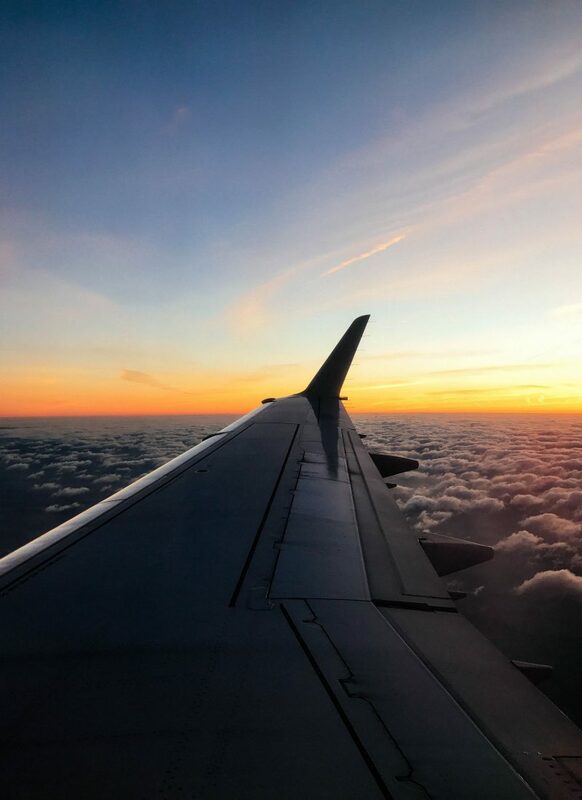 This means you have extra time and room to stow your carry-on, and you can get settled in your seat without bugging the person behind you in the aisle. When booking my flights, I snagged a bulkhead seat. Some folks might argue with me about the pros of the bulkhead but I think it’s awesome for long-haul flights. (The bulkhead is the dividing wall between cabins.) Why do I love the bulkhead? More legroom, you’re served first and you can put your feet on the wall. I know, it’s not the most lady-like thing, but it helps drain your legs. And trust me, 11 hours in you need to drain your legs. After getting situated in my seat, I settled in for the long flight. I always travel with a big cozy cashmere scarf, fun socks, and “professional” sweatpants. I also always travel with a ton of beauty products because flights are so drying. 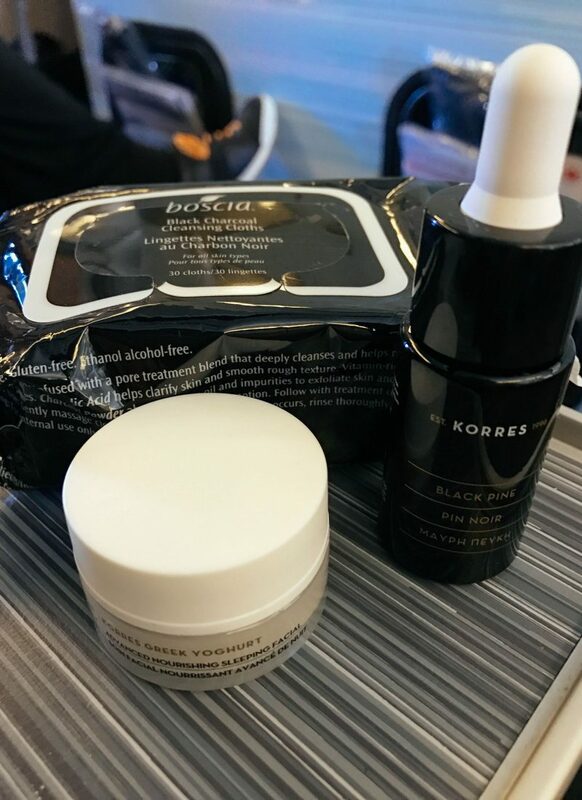 My go-to for the flight from YYZ to HKG was Boscia Facial Wipes and Korres Sleeping Oil and Mask. This kept my face hydrated and ready to face the world again… in 15 hours. 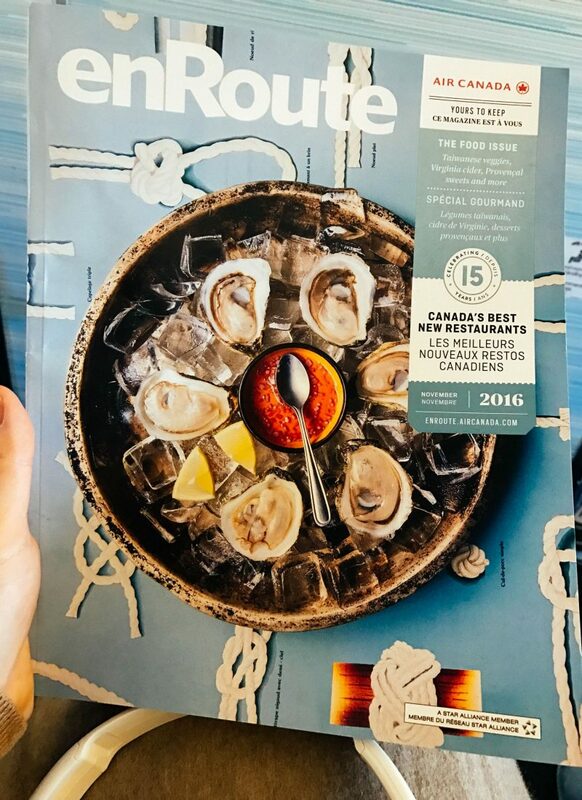 After I prepped my skin, I started perusing enRoute, the Air Canada in-flight magazine. I have to say, I love this mag. 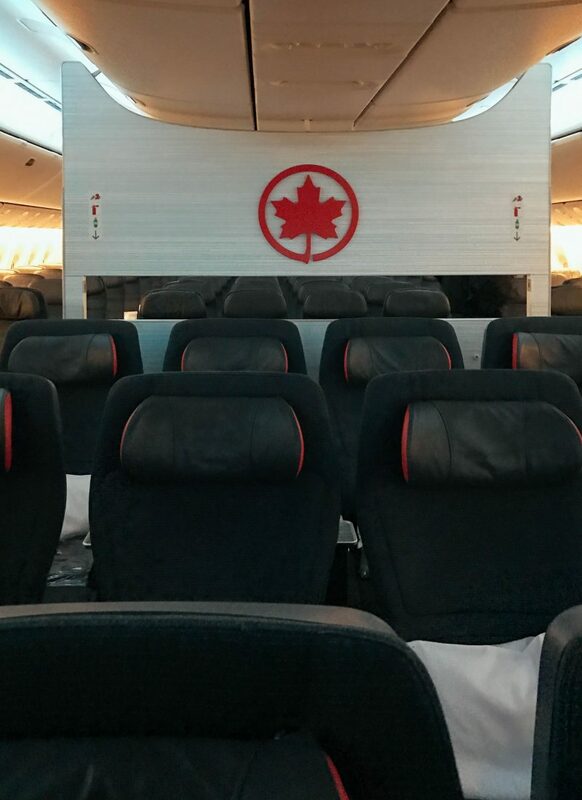 The Air Canada team does a stellar job. The branding, layout, and content really impressed me. After I got myself sufficiently hungry reading enRoute, I read the menu. The menu! Oh la la, did I tell you I love a little luxury in the air? Well, I do. And having a menu when flying makes me so happy. After take-off and while I wait for my food, I back, relax and enjoy a little vino and pretzels. I could get used to this. Once the food was prepared and served, I enjoyed a nice little dinner and a movie. I watched Central Intelligence with The Rock and Kevin Hart. I LOL’d. Apologies to my flight neighbors. A few more movies, a cup of noodles, breakfast and we land! 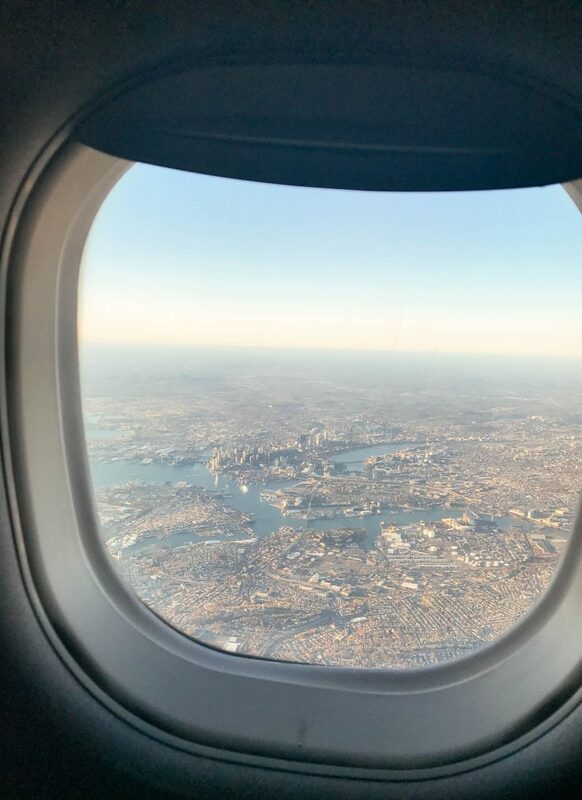 Before I tell you all about my trip to Hong Kong, let’s hit pause while I tell you a bit about my flight home. First of all, Airport Express in Hong Kong is a God-send! Not only do they transport you in under 30 minutes to the airport, but you check your bag there! It’s genius! Airport Express set the mood for my trip home. I had 3 flights on the return leg of the trip so I needed some good karma. My trip home included Hong Kong to Vancouver, Vancouver to Toronto and Toronto to Boston. Woof! Lots of travel time, but thankfully I was so comfy on my flights and I managed to sleep A TON. OH, I forgot to mention that you get a great amenity kit in Premium Economy. 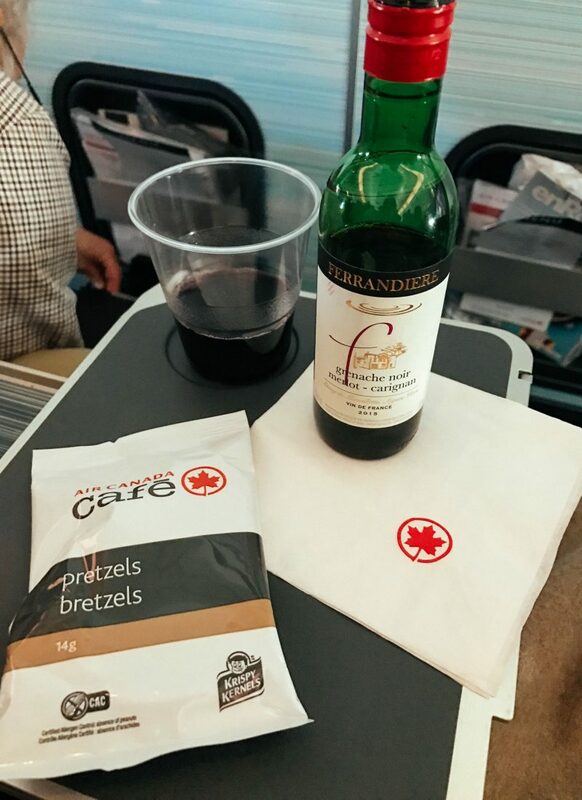 Air Canada really has your back on these long flights. From here on out, it’s a pretty seamless trip home. Vancouver to Toronto was a breeze, and after a brief layover in Toronto – I was home! Hey, Boston, you pretty thing, you! I can’t wait for my next overseas adventure, but in the meantime, I’m happy to wait out the rest of 2016 in New England! If you have any recs for my 2017 travels, drop them in the comments. A million thank yous to Air Canada for collaborating with me on this trip to Hong Kong! Check out the Air Canada website if you want to learn more about flying Premium Economy. Or if you’re sold, here’s the link to book now. All opinions and images are my own.